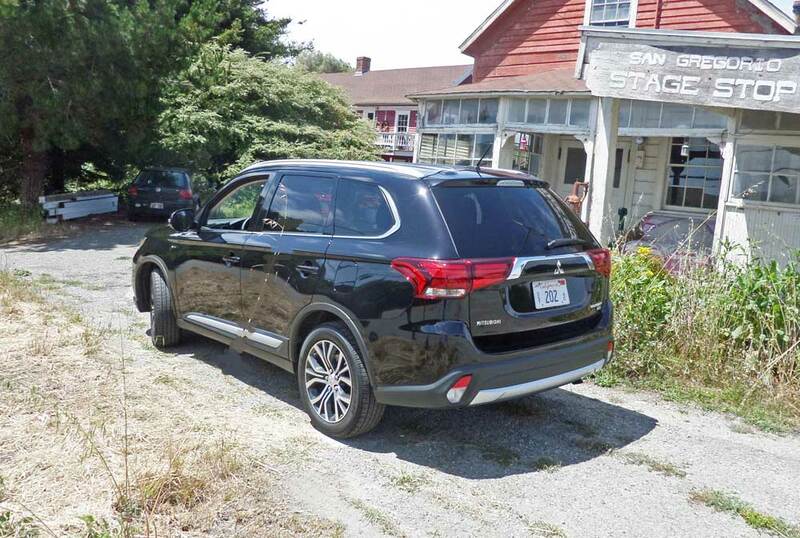 San Francisco – Mitsubishi?s advertising tagline is ?Find Your Own Lane? and the Japanese automaker seems to have done just that with their 2016 Mitsubishi Outlander model lineup, particularly with the top-of-line GT version. Mitsubishi has dropped several once popular vehicles from their inventory and has devoted their primary focus on maintaining a competitive position with the Outlander, of which there will be four specific models, ranging from the Outlander ES 2WD, which starts at $22,995 to the Outlander GT S-AWC (Super All Wheel Control) that begins with a price tag of $30,995. In between will be the Outlander SE 2WD for $23,995 or S-AWC for an additional $2,000 ($25,995.) and Outlander SEL 2WD starting at $24,995 or S-AWC at $26,995. Notre that the two middle trims are available in either 2WD or S-AWC, while the GT trim comes only in S-AWC, and the ES trim is only available in 2WD. All Outlanders fall into the premium compact SUV category, and the 2016 stable of Outlanders are elevated to a higher level of sophistication, with better quality, improved driving dynamicism, technological advancements and more efficient operation. 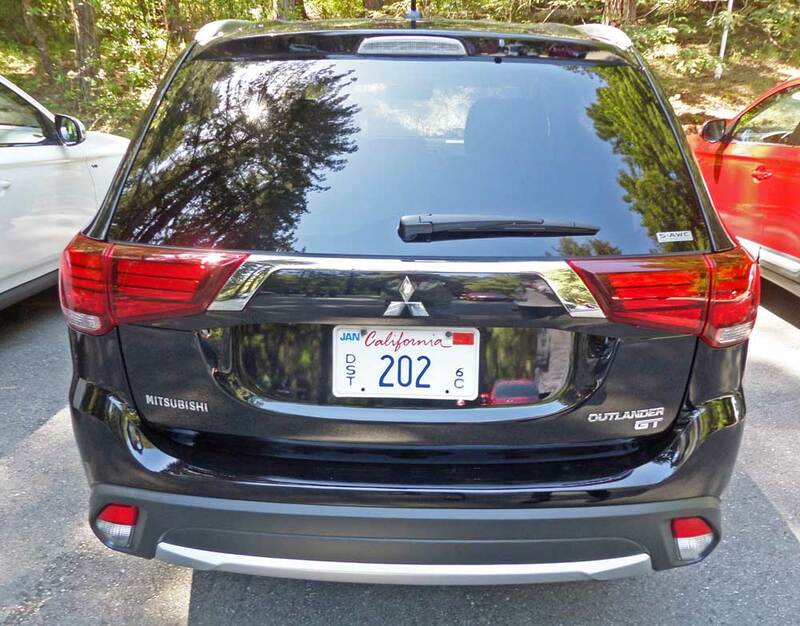 This latest iteration Mitsubishi Outlander represents more than just a minor exterior facelift and features a new hood, LED Headlamps and Position Lamps, a new fascia and new skid plate styling. 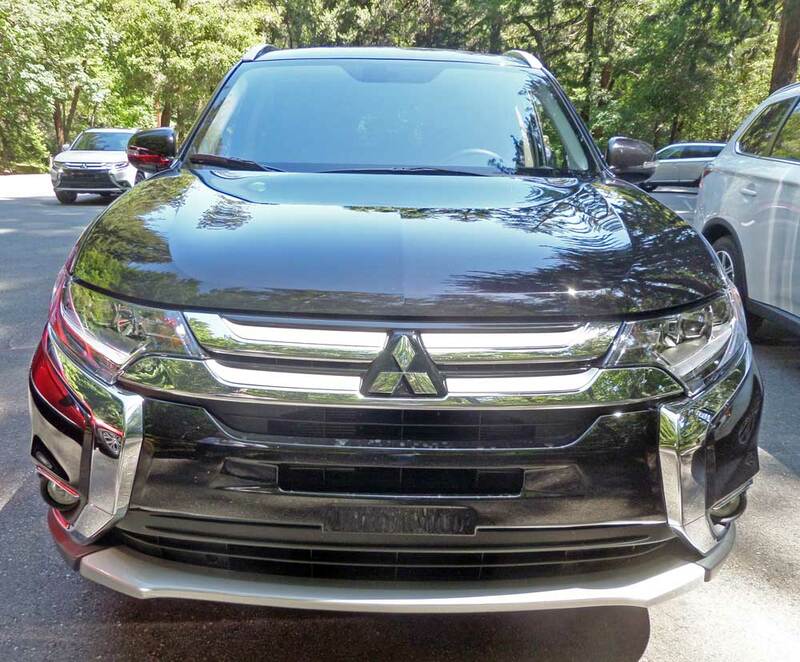 In other words, the sheet metal from the windshield forward is all new, forming what Mitsubishi refers to as a ?Dynamic Shield?. There?s also a new rear garnish treatment, new LED Tail Lamps, a new rear fascia, new power folding sideview mirrors, new front fenders, a new door trim accent and a new 18-inch alloy wheel design. 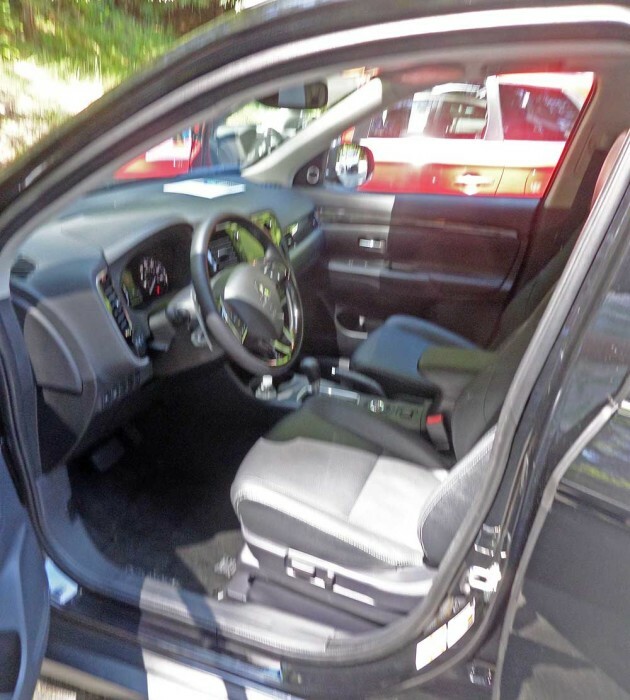 Interior enhancements include: a knit headliner and pillars, new contrast stitching on the instrument cluster cover and new cloth seat contrast seat stitching, a new chrome logo, a new steering wheel accent, new cloth sat fabric and additional center console padding. There?s also a new auto headrest fold function, along with a new auto flip-up seat cushion. 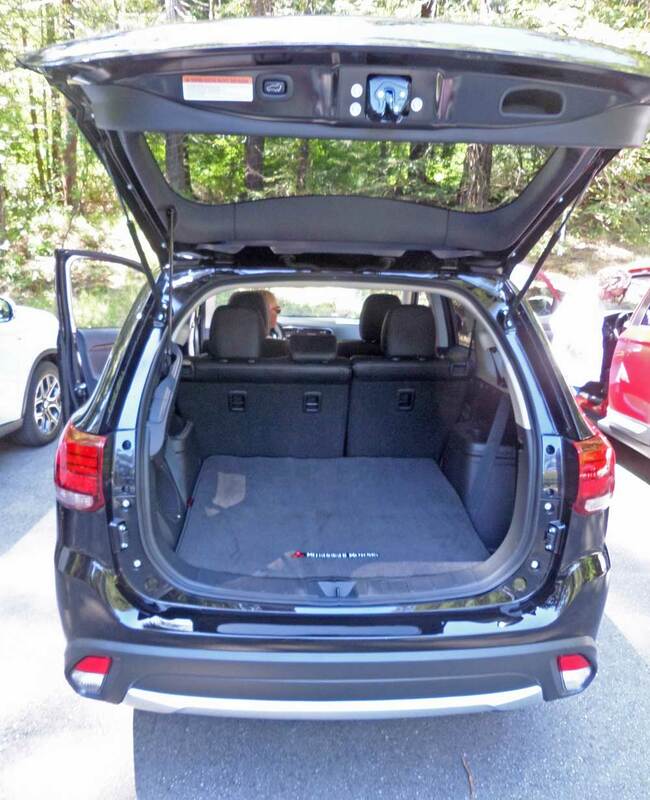 In fact, there are more than 100 improvements and enhancements in the new Outlander, and third row seating is standard for all models. 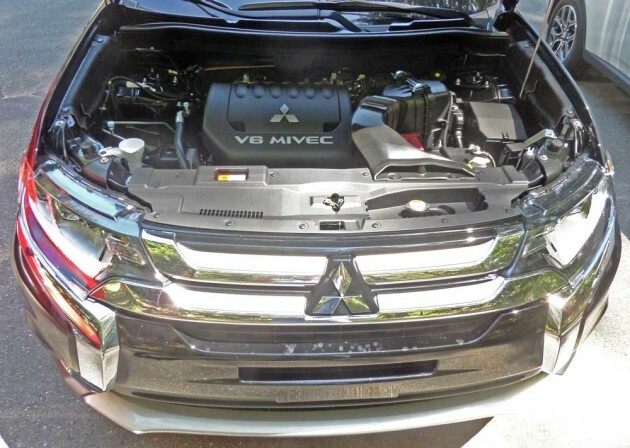 Motive force for the new Outlander will come from two sources: a 2.4-liter MIVEC four-cylinder for 2WD (front) ES, SE and SEL trims as well as S-AWC equipped SE and SEL trims, or a 3.0-liter V6 S-AWC in GT trim. The 3-liter V6 produces 224 horsepower while developing 215 pound feet of torque and is coupled to a 6-speed automatic transmission with paddle shifters. All 4-cylinder powered Outlanders deliver their energy to the driving wheels via a new CVT8 transmission. 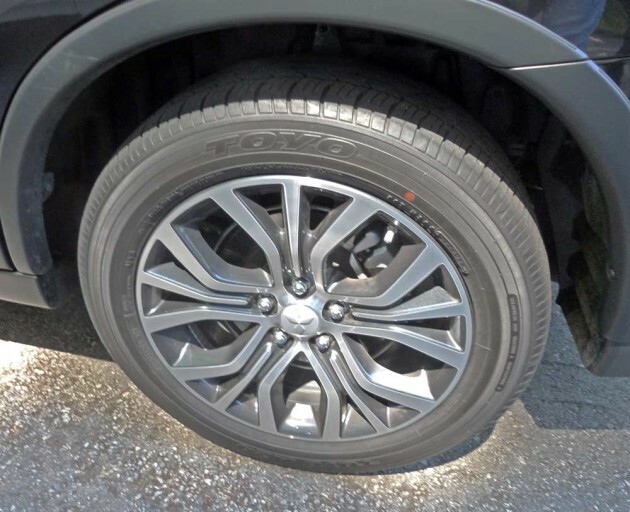 In addition to trim levels, there are also available packages that provide extra features. There?s a $1,550 SEL ?Safety Package? that adds: Forward Collision Mitigation, Lane Departure Warning, Adaptive Cruise Control, Auto On/Off headlamps, Rain-sensing wipers, power folding side mirrors and a windshield de-icer. A $1,900 SEL ?Premium Package? 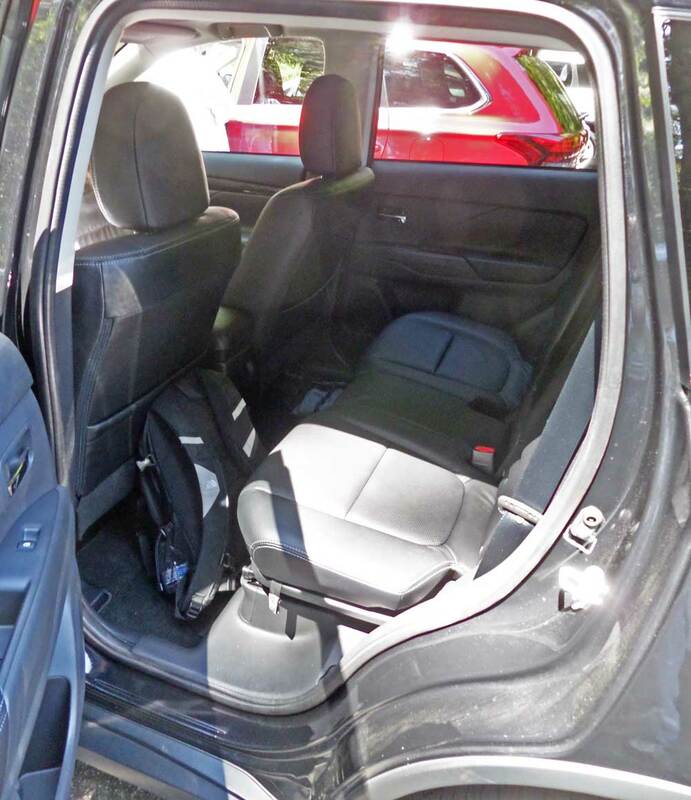 includes a power sunroof, a remote power liftgate, Sirius XM satellite radio, power folding side mirrors and a windshield wiper de-icer. For $5,250., the SEL ?Touring Package? 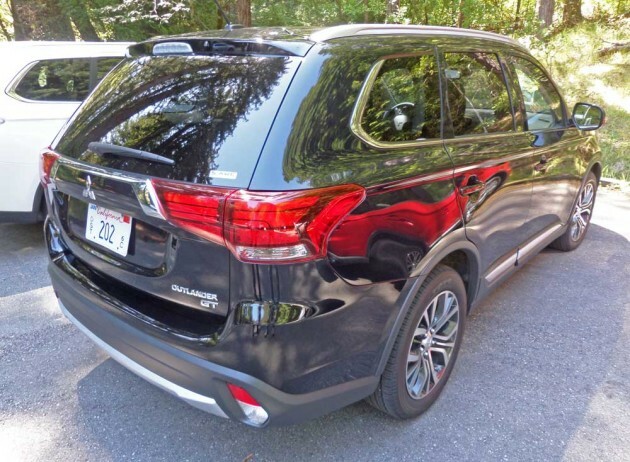 provides a navigation system, Forward Collision Mitigation, Lane Departure Warning, Adaptive Cruise Control, auto on/off headlamps, rain-sensing wipers, a power sunroof, a Remote power liftgate, Sirius XM satellite radio, Rockford-Fosgate Premium Audio, power folding side mirrors and a windshield wiper de-icer. A GT ?Touring Package? 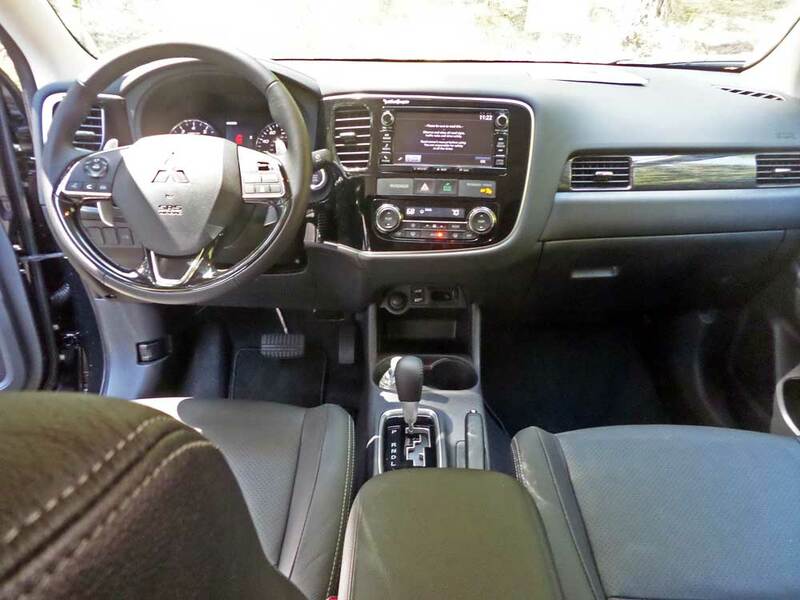 costs #3,350 and adds a Nav system, Forward Collision Mitigation, Lane Departure Warning and Adaptive Cruise Control. During the national introduction and media drive, I was able to pilot both powertrain versions, but spending the most time in the 3.0-liter V6 powered Outlander in GT trim. The base price was set at $30,995., while the price as tested totaled $31,845. The exterior sported a Labrador Black Pearl finish, while the interior was executed in Gray and Charcoal tones. 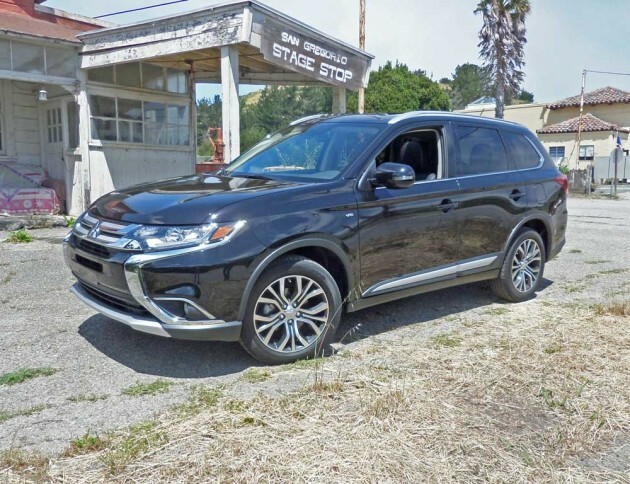 SUMMARY: The 2016 Mitsubishi Outlander GT, is unquestionably a visually appealing and sporty crossover SUV with styling and design enhancements for the new model year. My GT version featured an impressive list of standard features and equipment, with more than enough power to accomplish virtually any assigned task, delivering plenty of zip off the line. Shifting gears could be accomplished automatically or via magnesium steering wheel mounted paddles. The S-AWS elevates the level of driver control along with Hill Start Assist. The system utilizes a first-in-class Active Front Differential and an electronically controlled center differential system. Driving force is directed intelligently from front to rear and left to right to the front wheels. The Outlander manages to blend pleasing driving dynamics with enhanced good looks, functionality and versatility. It’s not only comfortable, but agile as well. The four-wheel drive version may be operated “on-the-fly” via a simple control knob. The flap-fold tailgate is ideal for tailgate parties and will support up to 440 pounds, and seating up front is infinitely adjustable for optimum driving comfort. Ride quality is comfortable and the 710-watt Rockford Fosgate premium audio system features digital signal processing, MP3 playback capability and nine speakers, including an enclosed 10-inch subwoofer. The folding and reconfiguration of seating has been greatly simplified for optimum user friendliness. Fortunately, the Outlander is attainable for a wide range of consumers thanks to its broad price range across the model lineup. The optional equipment packages are also reasonably priced, allowing consumers to personally equip their selected Outlander model to best fulfill their requirements and desires. The 3.0-liter V6 is obviously superior to the 2.4-liter four-banger in terms of performance output, and the conventional 6-speed Sportronic automatic with paddle shifters is more fun to drive than the new CVT8. Should you happen to be in the market for a more compact crossover, the Outlander Sport will likely prove to be more to your liking. Engine Type and Size: 2.4-liter MIVEC SOHC, 16-valve inline 4-cylinder with continuous variable valve lift system./ 3.0-liter MIVEC SOHC, 24-valve V6 with continuous variable valve lift system. Transmission: Six-speed automatic with V6. Suspension: Front – MacPherson strut with stabilizer bar. Rear ? Multi-link with stabilizer bar. Brakes: Power-assisted four-wheel discs (vented front) with 4-channel, four sensor ABS, EBD and BA. Tires: Toyo 225/55 R18 mounted on 5-?tri?-spoke alloy wheels. Fuel Capacity: 15.8	gallons ? V6 / 16.6 ? 4-cyl. ??????????? ??????????? ??????????? ??????????? ?????????? ?